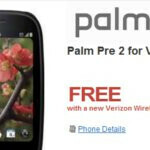 Continuing to see who can outgun each other in the other in terms of pricing for the Palm Pre 2, both Verizon and HP seem to be on the ropes with one another. It wasn’t too long ago that HP slashed the price of it to free for a brief period of time, but since then, it has been brought back to its usual $149.99 on-contract price point. Well, HP is here once again to the rescue if you want to experience the most up-to-date webOS smartphone in the US market. 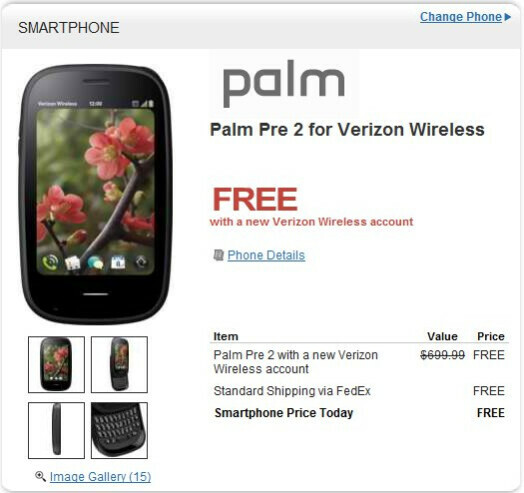 In fact, they’re selling the same handset for free with your signature on a 2-year agreement. Naturally, the new price point easily blows past what Verizon is asking for from its customer - which is still a cold hard $150. Still, we have yet to see any movement in terms of no-contract pricing. Nevertheless, you shouldn’t worry because it’ll more than likely happen once the newest members of the webOS family start to appear in the future.